13/11/2011	Comments Off on Hellenic Carriers Inc.
Hellenic Carriers Limited operates through its subsidiaries a fleet of dry bulk vessels (one Panamax, two Supramax and two Kamsarmax vessels with an aggregate carrying capacity of 340,055 dwt and a weighted average age of 10.4 years) that transport iron ore, coal, grain, steel products, cement, alumina, and other dry bulk cargoes worldwide. Hellenic Carriers is listed on the AIM of the London Stock Exchange under ticker HCL. 12/11/2011	Comments Off on Navios Maritime Holdings Inc.
11/11/2011	Comments Off on Navios Maritime Partners L.P.
10/11/2011	Comments Off on NewLead Holdings Ltd.
NewLead Holdings Ltd. is an international shipping company that owns a fleet of dry bulk carriers and double-hull product tankers. NewLead executes an accretive fleet growth to expand its fleet from 10 vessels to a stable modernized fleet of 30 vessels. NewLead’s common stock trades on the Over-the-Counter (OTC) Pink Current under the symbol “NEWL”. NewLead controls a fleet of nine vessels, including four dry-bulk and five tanker vessels and manages one third party vessel. NewLead intends to become an integrated shipping, logistics and commodity company. 09/11/2011	Comments Off on Paragon Shipping Inc.
08/11/2011	Comments Off on Performance Shipping Inc. 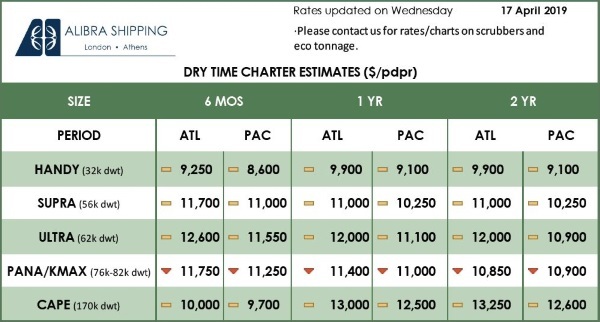 Performance Shipping Inc. (the “Company”) (NASDAQ:DCIX) is a global provider of shipping transportation services through its ownership of containerships. The Company’s vessels are employed primarily on time charters with leading liner companies carrying containerized cargo along worldwide shipping routes. As of March 26, 2019 the Company owns and operates four container vessels (2 Post-Panamax and 2 Panamax). Our fleet is managed by our wholly-owned subsidiary Unitized Ocean Transport Limited. 05/11/2011	Comments Off on Safe Bulkers Inc.
04/11/2011	Comments Off on Seanergy Maritime Holdings Corp.
01/11/2011	Comments Off on Tsakos Energy Navigation Ltd.
To date, TEN’s pro-forma fleet, including two VLCCs, an LNG carrier, nine Aframax crude oil tankers, a Suezmax DP2 shuttle tanker and two LR1 tankers all under construction, consists of 65 double-hull vessels, constituting a mix of crude tankers, product tankers and LNG carriers, totaling 7.2 million dwt. Of these, 47 vessels trade in crude, 13 in products, three are shuttle tankers and two are LNG carriers. 01/11/2011	Comments Off on TOP Ships Inc.
TOP Ships Inc. (Nasdaq:TOPS) (the “Company”) is an international owner and operator of modern, fuel efficient “ECO” MR tanker vessels focusing on the transportation of petroleum products. Most recently, the Company took delivery of the M/T Eco Revolution, a 39,000 dwt fuel efficient “ECO” MR product tanker, the fourth of six vessels under construction in the Company’s fleet. 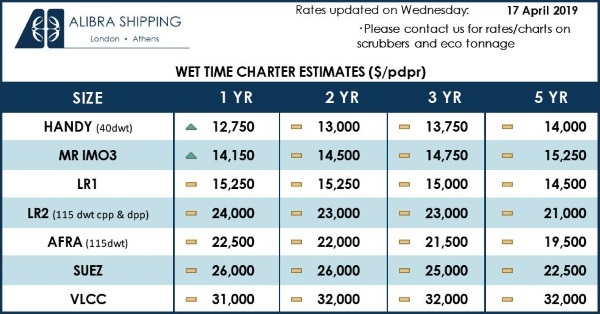 The remaining two vessels are scheduled for delivery in the second and third quarter of 2016.